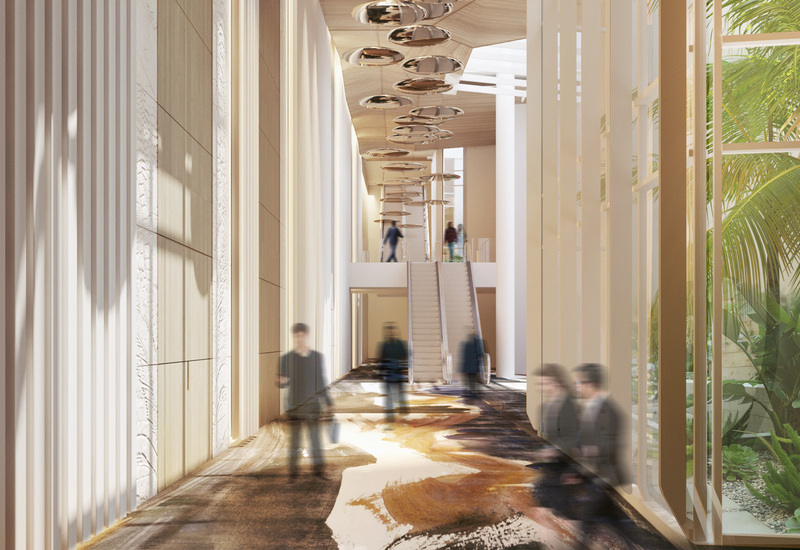 From spring 2019, Monte-Carlo Société des Bains de Mer will be offering a brand new conference centre, One Monte-Carlo, in the heart of Monaco. 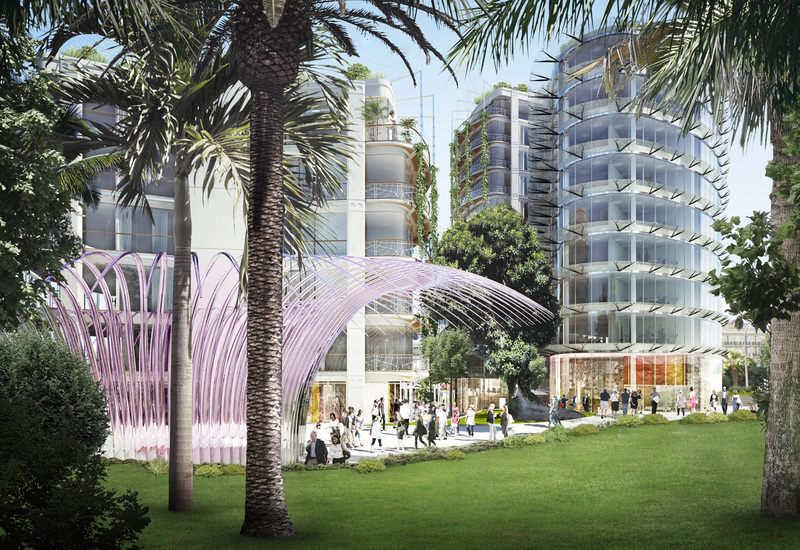 Together with Hôtel de Paris Monte-Carlo and Hôtel Hermitage Monte-Carlo, it will form a new business tourism hub, right on Casino square, with endless possibilities for meetings, conventions, product launches and events etc. – all within easy reach. •A 301 sq.m. (3,240 sq.ft.) plenary room, the identical reproduction of the legendary Salle des Arts in the former Palais des Beaux-Arts – a way of preserving its Art Deco architectural footprint. This room will be able to host up to 300 people for all kinds of events. •A multipurpose room of 178 sq.m. (1,912 sq.ft. ), adjacent to Salle des Arts. •A 154 sq.m. (1,655 sq.ft.) auditorium with a capacity of 80 seats. •Three modular rooms measuring 96 sq.m. (1,033 sq.ft.) each. •A large Foyer of 523 sq.m. (5,629 sq.ft.) offering a variety of uses. •All necessary equipment, including a 2-tonne service lift to facilitate exhibitions of cars during product launches or events. •Hôtel de Paris Monte-Carlo, an iconic, luxury hotel: 209 rooms, eight meeting and banqueting rooms, one bar, three restaurants including Louis XV – Alain Ducasse at Hôtel de Paris, 3 Michelin stars as well as a listed reception room: Salle Empire. •Hôtel Hermitage Monte-Carlo, a classically elegant, 5* hotel: 278 rooms, 14 meeting and banqueting rooms from 14-430 sq.m., including a state-of-the-art conference room with a capacity of 310 people as well as a listed reception room: Salle Belle Époque. Opposite One Monte-Carlo, the Boulingrins Gardens, re-landscaped right around Casino Square, will be available for private functions, thus creating an exceptional new venue for events and cocktails. •An entire destination at hand, combining accommodation, conference and banqueting rooms, bars and restaurants, sport and cultural activities such as Opéra Monte-Carlo. •Venues with real soul, steeped in more than 150 years of history, and which have constantly evolved and reinvented themselves to ensure that whatever your experience is, it will be unforgettable. •A strong commitment to the environment and sustainable development, guaranteed by Monte-Carlo Société des Bains de Mer with BREEAM-certified buildings to better control the environmental impact of meetings, seminars and business events.